In running lead generation programs over the last 23 years, we have often wondered why certain reps can take a sales lead of any quality – cold, warm or hot – and seem to turn them into closed deals. What is the “x” factor that makes certain sales reps so successful? There is no one single reason why some sales performers close so many more deals than others. Some people are natural sales pros who have an innate ability to relate to customers and move effortlessly through the sales cycle, while others don’t have the right personality or style to build effective sales relationships. But for the most part, aside from a few outliers who are either 100% natural sales talents or just aren’t the right fit for the sales profession, we believe that sales is a skill that can be learned and taught over time. If your sales team can learn from the success of your top performers (and replicate those skills and behaviors with the rest of your sales team), your entire organization will benefit. Empathy: Top sales performers understand what the customer needs. They know how to ask the right questions, listen to what the customer is saying, and act upon the customer’s needs. A common mistake made by lower-performing sales reps is treating all customers the same, or assuming that the rep knows what is always right for the customer, or trying to foist off a certain offer or solution on the customer regardless of what the customer wants. Top performers know how to build relationships with customers based on trust and mutual respect. They earn credibility as industry peers. They show how much they care about the customer and they know how to align their solution with the customer’s business needs. Adaptability: The best sales reps know how to think on their feet and respond to changing situations. In case a customer is not receptive to a certain offer or approach, they can quickly shift to “Plan B” and keep the conversation going. Top performing sales reps never sound like they are reading from a script or reciting a pre-planned conversation. They know how to go with the flow in any sales conversation, drawing upon their diverse experiences and expertise to deepen the customer relationship and discover new opportunities along the way. Consistency: Top sales performers aren’t always dazzling conversationalists or glad-handing backslappers. The best sales people have all kinds of personalities and professional styles – but one thing they tend to have in common is a rigorous sense of focus and consistency. They have a seemingly innate ability to focus on the right sales activities, every day, that help build a strong sales pipeline. 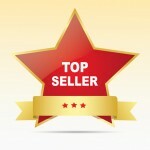 Top sales performers aren’t only good at closing deals. They also know how to do the legwork and research and emotional labor of dialing the phone time and time again. Top sales performers know how to create such a rich array of opportunities that it ultimately takes the pressure off of them when it’s time to close – although they tend to have higher closing conversion rates as well. Action: One of the things that holds a lot of sales people back is that they think too much. They obsess, fret, worry, plot, plan…but ultimately waste a lot of time when they could have been picking up the phone. Instead of worrying about the #1 optimum way to approach each and every customer, instead of over-analyzing every single move, top sales performers know how to take decisive action. They are impatient for action. This doesn’t mean that they are unprepared or impetuous, but it does mean that once they have enough information about a prospect, they know how to simply, calmly take action and put the conversation into motion. Imagine what could happen if you would impart these skills to the rest of your sales team! Many of these characteristics come more easily to some people than others – not everyone is good at thinking on their feet, and some people empathize more easily than others. But for the most part, everyone on your sales team should be able to take a close look at their personal skills and behavior patterns, and find a way to become more like the top performers. Do you need “Lead Generation” or “Lead Management"?